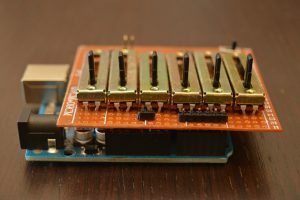 In this tutorial we show how to program an Arduino Uno board to realize a step sequencer. 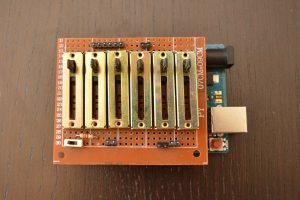 The circuit used for this project is available on the web page of our Step Sequencer prototype. 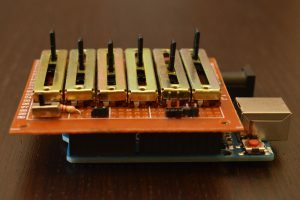 Reads values from 6 potentiometers to change the pitch of any step of the sequencer tone generator. This example code is for educational purpose and it is in the public domain. This simple code is very effective to start playing 8bit sounds, but it has a big problem about timing. In fact, the delay() function, used to control the temporal scanning of events, is rather imprecise (it has a resolution of a few thousandths of a second) and does not allow a regular succession of equidistant events over time. For this reason it is very difficult to use this code to create multiple sequences of notes that can be overlapped and mounted together to create tracks with more complex musical materials. 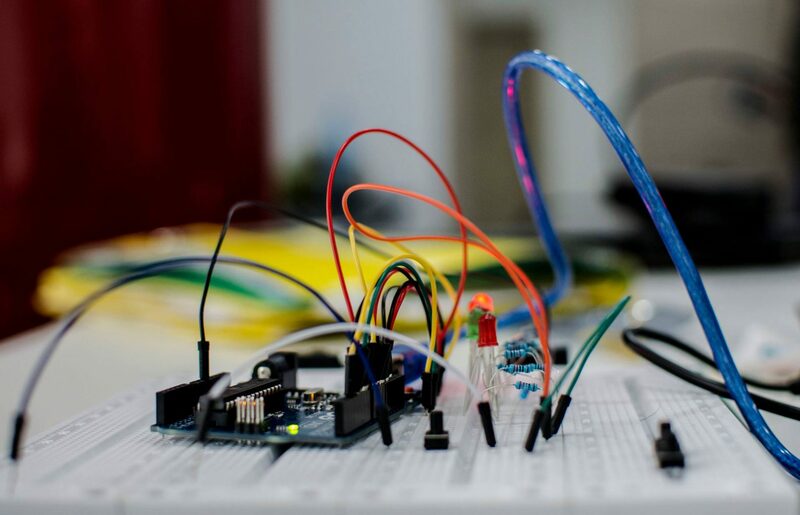 To solve this problem, a new code has been created that uses a different timing system based on the use of the micros() function of Arduino which provides greater temporal accuracy of the order of microseconds. Here some tracks created programming our PDSynth-00 prototype with this last step sequencer code. Why do not you even take a look at our products?